With Valentine's Day coming up, I thought I would show a few swatches of some pink eyeshadows. 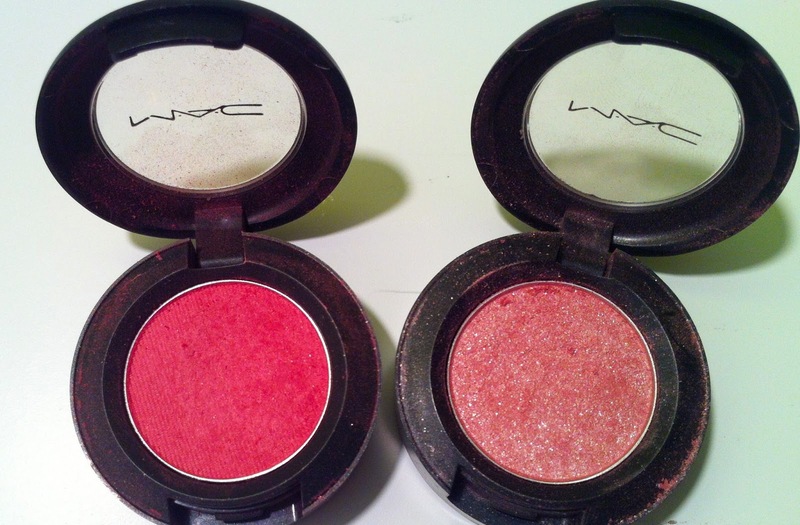 First up we have MAC Sushi Flower, a mid warm pink with a little coral, and MAC Venus, a sparkling light pink. 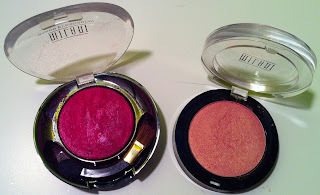 Next we have two Milani shadows in Must Have Fuchsia, a baked fuchsia that has more pigment when used wet, and Tickled Pink, a ballet pink with lots of gold shimmer. Swatches shown were applied dry. How about you? Any favorite pink eyeshadows? OOhhh I love that palette too!